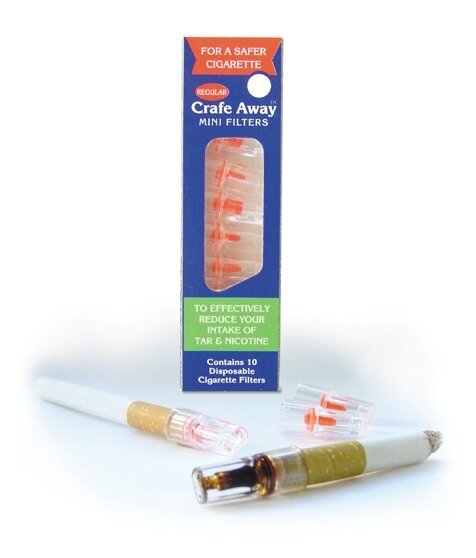 One Crafe Away Cigarette Mini Filter lasts for between 5 and 10 cigarettes depending on the brand of cigarette smoked. 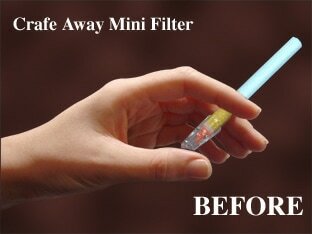 When the coloured mark is completely covered it is time for the smoker to use a new mini filter. 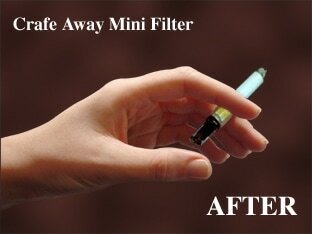 The Crafe Away Mini Filter does not alter the taste or flavour of a cigarette.